Rangimārie’s mahi spans evaluation, community engagement, policy and outdoor pursuits to name a few. Rangimārie was brought up under the guardianship of Araiteuru taniwha on the shores of the Hokianga Harbour. Her deep relationship to Aotearoa’s peoples and places informs her mahi as a social innovator. She is a founding member of the Ngā Aho Tikanga Māori co-design network. In her role with Toi Tangata Crystal specialises in Community Research and Co-design, and is based at Waiwhetu Marae. She graduated from Te Wānanga ō Raukawa. Her interests include Mātauranga, Māori outcomes and Kaupapa Māori Co-design. 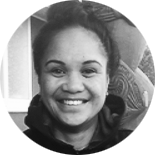 Sophia is from Bluff/Ruapuke, now residing in Auckland, Tāmaki-Makaurau. 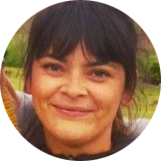 Sophia is currently employed by Lifewise NZ as a Service Designer to co-design the collaborative Housing First programme for people experiencing chronic homelessness in the Auckland city centre.